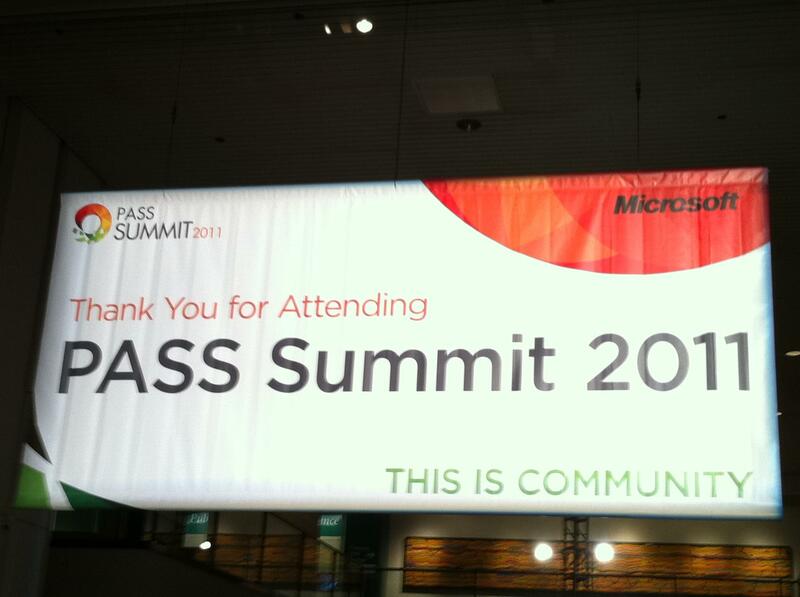 I reached Seattle on Sunday afternoon, a day before PASS Summit 2011 Pre-Conference kick starts.This is my first visit to PASS Summit and I was all excited. Here you can see a pic taken from my mobile as soon as I entered the convention center. I went straight to the registration booth and got my registration kit, which includes a Official PASS Summit badge, brochures from various participating sponsors / vendors, booklet containing event details and last but not the least, PASS Summit 2011 Backpack. I went to breakfast along with few friends whom I have made while we were at the lobby. I could meet few fellow SQL Server DBA’s, Developers, SQL Server Users from various parts of the world ( from Belgium, Lebanon, China, New Zealand) apart from those coming from other parts of US. The Session was very interesting and had a lot of things to learn. After the session was completed, I could catch up with Maciej and discussed some of my doubts and could grab a pic with him..
Later, I was off to my hotel and wrote some notes on what I had learned in today’s session. This entry was posted in General, PASS and tagged PASS Summit, SQL PASS by Brumedishetty. Bookmark the permalink.